In a previous post, we examined some important legislation that passed this summer focusing on polystyrene containers and cups. Additionally, there has also been much momentum in the push for plastic bag bans in certain municipalities. Legislation like his has been attempted in the past, only to dissolve before it ever comes to fruition. Whether that is the case for this go-round has yet to be seen, but with the nature of the green movement it is highly likely that more environmental shifts will be occurring within the packaging industry. No doubt, the Duro-Hilex Poly merger was a smart move – as prevalent and convenient as they are, plastic bags may someday become a thing of the past, forcing the entire industry to reexamine the alternative solutions. Plastic bags are not as bad as they’re reputation makes them out to be, however. Did you know that recycled plastic bags can be used to make Ecoboard, a material used in prefab housing? Or that Hilex Poly has a “Bag2Bag” recycling system that allows us to recycle our plastic bags into new ones? Not to mention- paper bags are no replacement to plastic when it comes to transporting wet clothes, picking up doggy-doo, wrapping up soiled diapers on the go, or lining your bathroom trash can. But, if the plastic bag bans do get instated, we’re helping you prepare with a comprehensive guide to the changes upon us. Here’s a look at the legislation that has passed within the U.S. in the last several months. Please note, no ban has been instated as of yet, but listed here is a summary of what’s to come, with links to all of the hairy details. California: This plastic bag ban passed both the State Assembly and State Senate in August with Governor Jerry Brown promising to sign it. Starting July 1, 2015, grocery stores and pharmacies will be unable to provide customers with single use plastic bags. Beginning the following year, convenience and liquor stores will also be included in the plastic bag ban. Any local ordinances already passed would be grandfathered in. Ashland, Oregon: Starting November 6, 2014, customers will be unable to use a single-use plastic bag and must pay $0.10 on paper bags if they do not have a reusable bag. Paper bags must consist of at least 40% recycled material and be compostable according to ASTM Standard D-6400. Food providers are exempt from the plastic bag ban. Click here for the full ordinance. 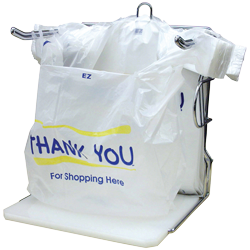 Evanston, Illinois: Beginning August 1, 2015, large stores occupying at least 10,000 square feet are prohibited from having point-of-sale disposable plastic bags for customers. Restaurants and non-chain stores are exempt. For more details on the ordinance, click here. Laredo, Texas: A plastic bag ban goes in effect on April 30, 2015. There are exemptions for restaurants and food handlers. 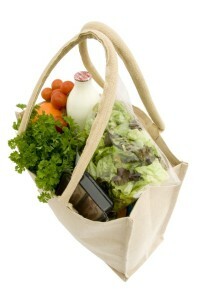 Produce bags and bakery bags are also exempt. More detail on the ordinance can be found here. Martinez, California: Starting January 1, 2015, plastic bags will be prohibited. Retail stores will charge $0.10 for every recycled paper bag. There are no exemptions for restaurants. See the ordinance for more details. Monrovia, California: A $0.10 tax on paper bags and ban on plastic bags begins January 1, 2015. This ordinance does not apply to restaurants or produce bags. The full ordinance can be found here. Nevada City, California: A ban on plastic bags starts January 1, 2015 and also imposes a minimum $0.10 charge f0r paper bags. Restaurants will be exempt from this ban until January 1, 2016. The City Council will then review the exemption. Click here for the ordinance. Portland, Maine: Coinciding with the polystyrene ban, this$0.05 fee for both paper and plastics carryout bags begins April 15, 2015. There is no exemption for restaurants with this ban either. More details may be found in the City Council Agenda (Tab 23). 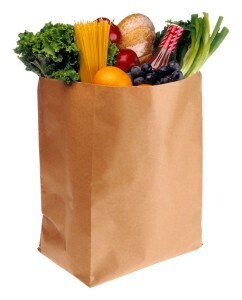 San Anselmo, California: Starting January 1, 2015, a ban on plastic bags and minimum $0.10 fee on paper bags will begin. Restaurants are exempt from this. See the ordinance for more details. While most larger stores, such as supermarkets, already have the standard offering of paper or plastic, there will be other establishments that will be forced to find an alternative to the classic LDPE plastic bags. Duro was the first manufacturer to produce bags with 100% recycled paper and 100% recycled fiber. They have a wide selection of bags to choose from as seen in their product catalog with bags made with varying amounts of recycled fiber content. Inteplast’s InteGreen Compostable T-Shirt Bags are ASTM D6400 compliant and is BPI (Biodegradable Products Institute) certified. They are custom printed to order so a restaurant, retail chain, etc. can add their own message. As seen in their product catalog, Tulsack can meet and exceed local regulations that require a percentage of post consumer recycled paper. Local governments are continuing to adapt tighter environmental standards for foodservice packaging and bags. There are a variety of options available now and your customers will appreciate the help in sorting through these new laws as they become reality in the coming months. Whether or not these bans will become reality is unknown, but it’s better to be prepared when your customers are affected so that when it comes to solutions, you’ll have the answers in the bag.